The travel season is here. Towards the end of the holy month of Ramadhan, the Muslims friends in Indonesia are clogging bus terminals, train stations, seaports and airports for celebrating the much anticipated Eid day with families back home. But not only the Muslims; most other people are rushing out of towns to their favorite holiday destinations. The result is a massive moving of the entire country. Just like Easter in the Philippines, Golden Week in Japan, or Christmas in Europe and America. As for me, Eid season equals down time. 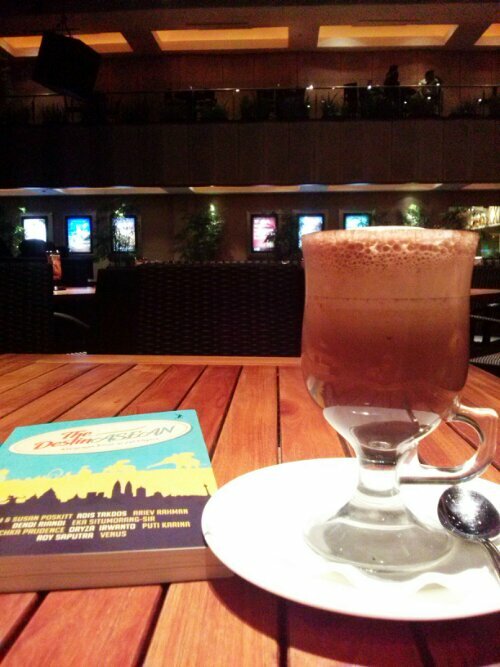 Sleeping all day, strolling the empty parks, or enjoying the rare fresh air of Jakarta is more than enough. With travel expenses sky-rocketing, the best way to skim through the week is to sit down with a good book. We’re bracing for what we refer to as the long weekend because the govt declared Aug 9 as a holiday. Ow. What holiday do you have on the 9th? I don’t know the correct spelling but the end of Ramadan. We could never have enough. I wanted to sleep all day buuut… We were having open house.